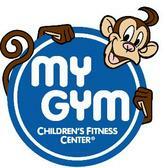 My Gym engages in providing facilities where one child can learn and grow through exciting and unique activities. The My Gym was established in the year 1983 and helps children to develop healthy minds and physique through the guidance of trained instructor. The company provides unique extraordinary programs for children of 6 weeks to 13 years. The My Gym has hundreds of locations in about 30 countries. The My Gym children fitness center offers structured classes, music classes, dance, games, relays, special rides, gymnastics, and sports. The classes provided by the company includes little bundles, tiny tykes, terrific tots, my gym art, mighty mites, whiz kids, champions, all star sports, etc. There are currently 0 consumer reviews about My Gym available. Share your review. Please take a note that you are about to post a public review about My Gym corporate office on CorporateOffice.com. This review will be public, so please do not post any of your personal information on this website. If you would like to contact the corporate offices of My Gym, please use their contact information such as their phone number, website, and address listed above to contact them. However, sometimes staff from My Gym headquarters do read the reviews on this website.